In the spotlight at the Nome finishers’ banquet on Sunday was Bethel musher Pete Kaiser, the first Yup’ik person to win the race. 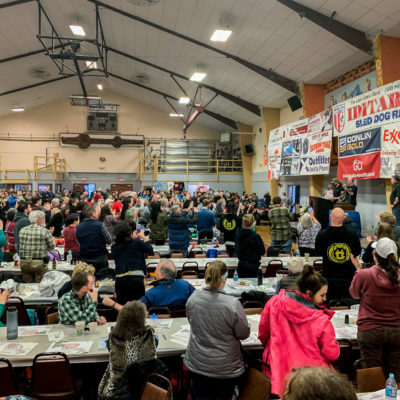 But among those who received cheers during Sunday night’s Iditarod finishers’ banquet were Nicolas Petit and Richie Beattie. The margin between 2019 champion Pete Kaiser and his closest competitor, Joar Leifseth Ulsom, came down to 12 minutes in the final leg of the race. Kaiser’s strategy of banking extra rest in the early stretches of the Iditarod helped position him for victory in the race’s final days. 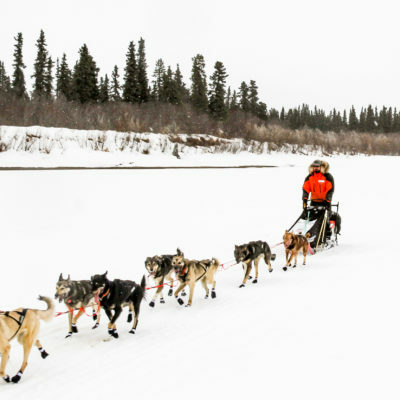 Pete Kaiser is the champion of Iditarod 2019. 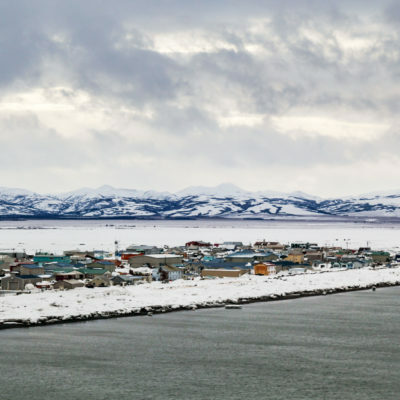 The Bethel musher arrived at the Nome finish line in the wee hours of Wednesday morning, March 13, with 8 dogs in his team. 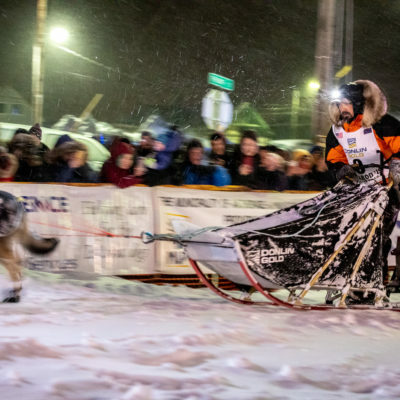 Around 2 to 4am Wednesday morning: that’s when KNOM expects a championship finish in Iditarod 2019. 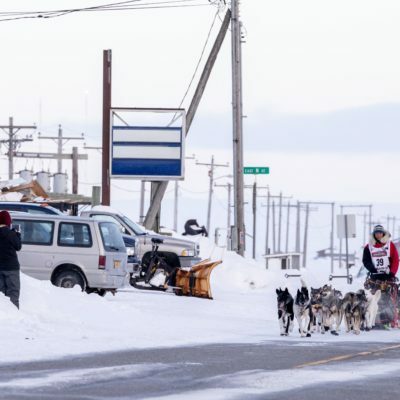 Bethel musher Pete Kaiser holds a slim yet potentially decisive lead: 6 miles ahead of Joar Leifseth Ulsom, with only 50 miles to the finish line. Nonetheless, Kaiser’s victory is far from certain. Bethel musher Pete Kaiser is 77 miles from his first Iditarod Trail Sled Dog Race victory. But first he must hold off the race’s defending champion, Joar Leifseth Ulsom, hungry for a repeat win. Usually, in March, the Bering Sea ice is reaching its thickest extent. 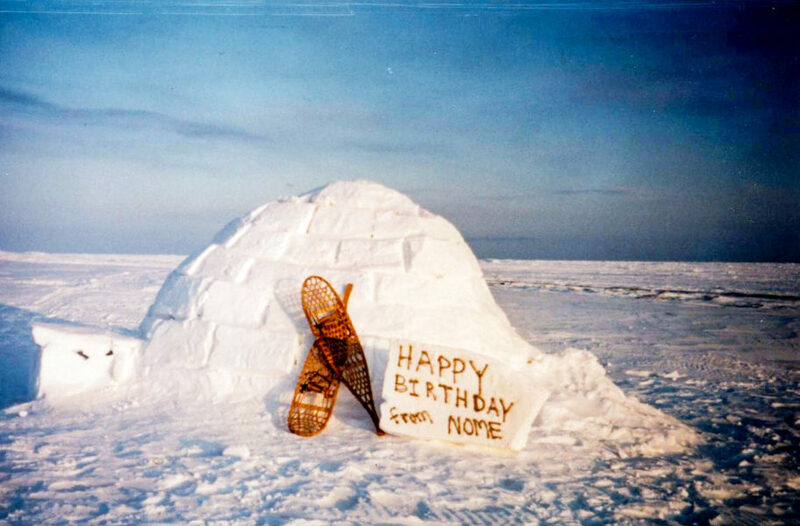 But from the beach in Unalakleet, the full horizon is blue ocean water, punctuated infrequently by lone icebergs. Typically, in winter, the shore is silent, save the slight tinkling of ice shifting. This year, you can hear waves. 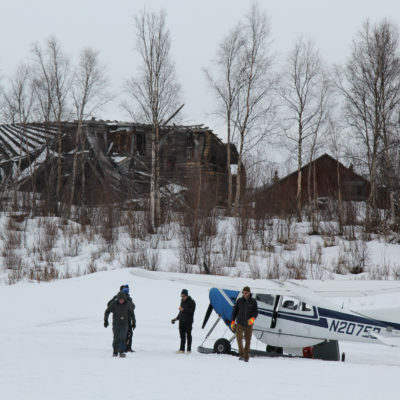 The Iditarod Trail Sled Dog Race has a new leader — Bethel musher Pete Kaiser — after Nic Petit’s team stalled on the sea ice Sunday night. 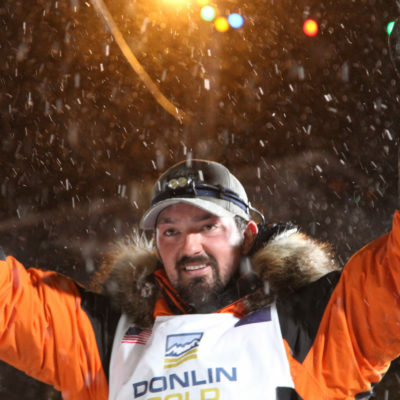 As of Sunday night, Nic Petit is in the driver’s seat of the 2019 Iditarod. The Girdwood musher leads the race by a few hours, but a hungry pack of mushers are looking for an opening. Iditarod’s lead mushers pushed to the Yukon River checkpoints as Thursday night turned into Friday morning. 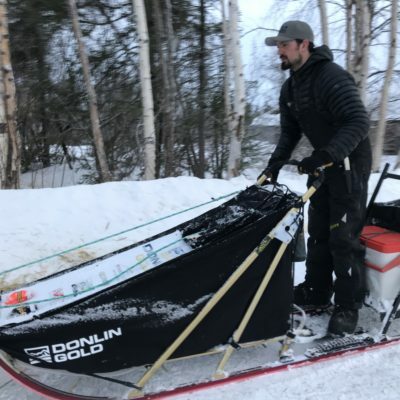 Nicolas Petit was first to Anvik, but other mushers remain competitive as the sun heads toward the horizon Friday night. 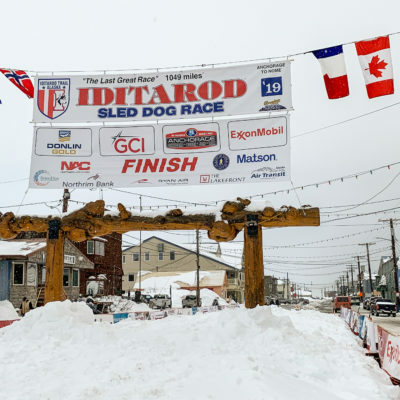 Here’s a recap of KNOM’s coverage of Iditarod on Friday, March 8.